This is a Stag Beer lithograph manufactured by the Griesedieck Western Brewery Company in Belleville, IL., Circa 1940. 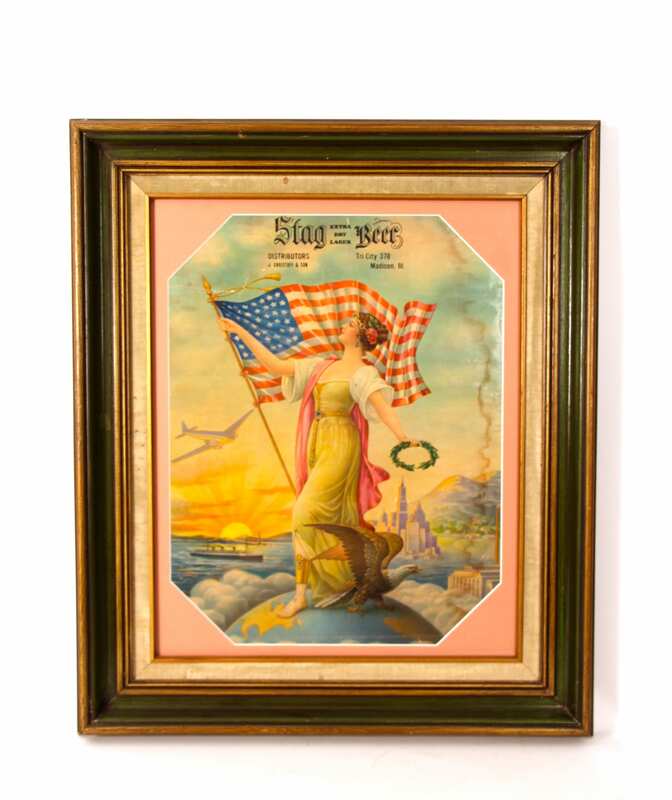 This vintage lithograph sign is nicely framed and matted. It was actually a lithograph calendar at one time but the months have faded. 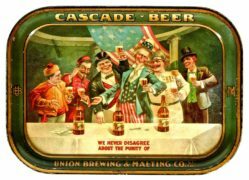 This Stag Beer sign features the United States flag making a great patriotic piece and may be the only one of its kind that exists today. 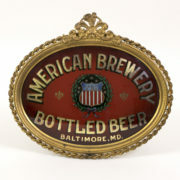 The Western Brewery originated in the 1850’s. They originally brewed 65 barrels a day. 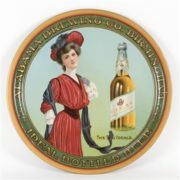 By the 1890’s the Kaiser brand was the flagship brand. 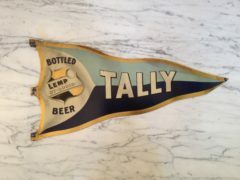 In 1907, the company held a contest with a prize for the person who could create a new brand of beer to replace Kaiser beer that was no longer popular. The new name was Stag Beer and the winner was George Wuller from Belleville, IL who earned $25 in gold. 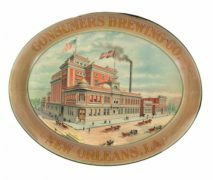 In 1912, the Western Brewery and Stag Beer was purchased by the Griesedieck family, who were already in the brewery business. 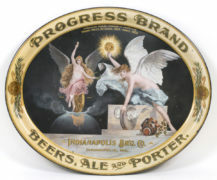 At the end of Prohibition, the company changed its name to the Griesedieck Western Brewery Company. 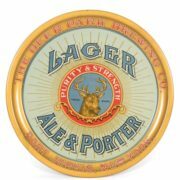 Stag became the top-selling beer in the St. Louis area, beating out sales of Falstaff and Budweiser. 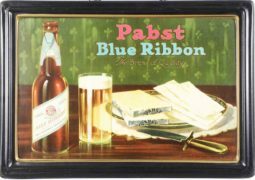 By the 1950’s, Griesedieck Western was the 11th largest brewery in the U. S., and Stag beer was distributed in 22 states. 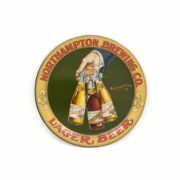 Their popular advertising campaigns featured the cartoon character Mr. Magoo for Stag Beer . 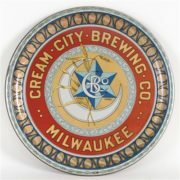 In 1978, the Belleville brewery and Stag Beer was purchased by the Heileman Brewing Company of Wisconsin. Today, Stag Beer is still going strong in central and southern Illinois, and parts of Missouri.